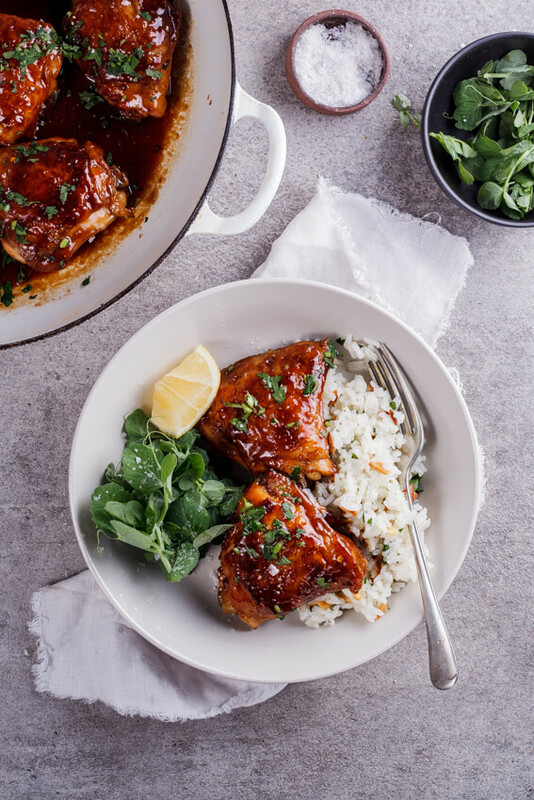 Easy honey garlic chicken thighs with sticky sauce is perfect for weeknight dinners when served with steamed rice and greens. 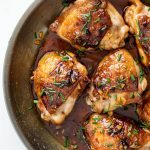 I’ve been making a variation of this honey garlic chicken thighs recipe for years. It’s so easy and the kind of recipe I just know will be a hit with everyone I feed it to. 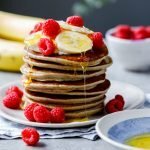 This recipe is made completely on the stove so no need to switch on the oven but can be finished in the oven if you’d like. I love serving the sticky, juicy chicken with steamed rice and sautéed greens or a simple salad for an easy, delicious weeknight dinner. 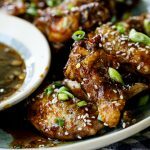 How do you make honey garlic chicken thighs? Season bone-in, skin-on chicken thighs with salt then brown in a large frying pan for 7-10 minutes a side until the skin is well-browned and crisp. 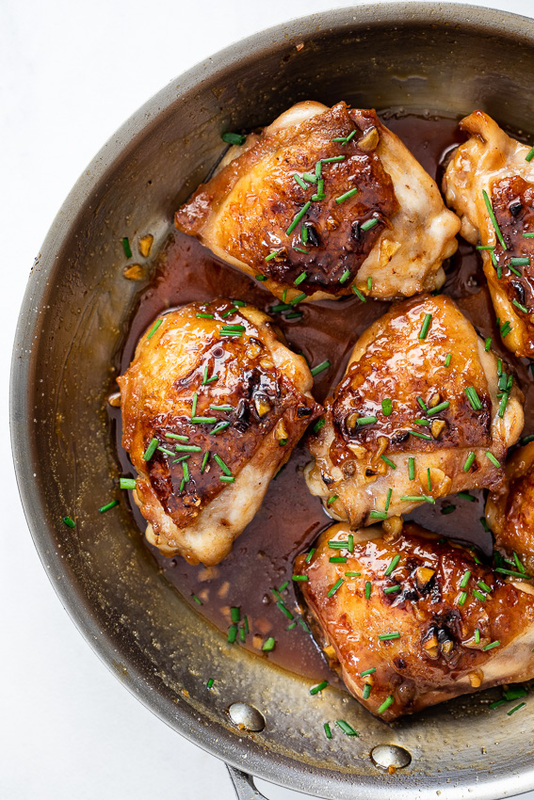 Mix together honey, garlic, soy sauce (or gluten-free Tamari if you’re gluten intolerant) and water then pour into the pan and allow to simmer, glazing the chicken with the sauce, for 10-15 minutes until the sauce has thickened and the chicken is cooked through. Alternatively you can pour the sauce into the pan and then place the chicken into a 200ºC/390ºF oven for 15-20 minutes, glazing every 5 minutes, until the chicken is cooked through. 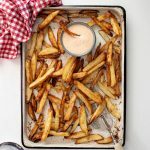 How do you make thick honey garlic sauce? By simmering the chicken in the sauce, the sauce will reduce and thicken. If you want to thicken it even more, you can mix a teaspoon or two of cornstarch with water and add to the pan. Allow to simmer until sauce is thick. Can I make honey garlic chicken thighs ahead? Absolutely! 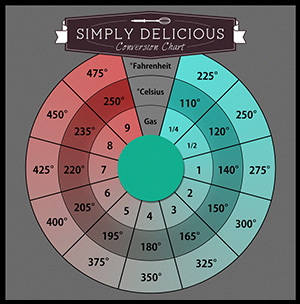 This recipe re-heats very well so you can make it ahead and just re-heat stove-top or in the oven. You can also freeze this recipe for easy meal prep. Assemble the sauce and place in a freezer-safe jar/container and freeze until you’re ready to use. Simply defrost the sauce and use as directed. Yes, you can. 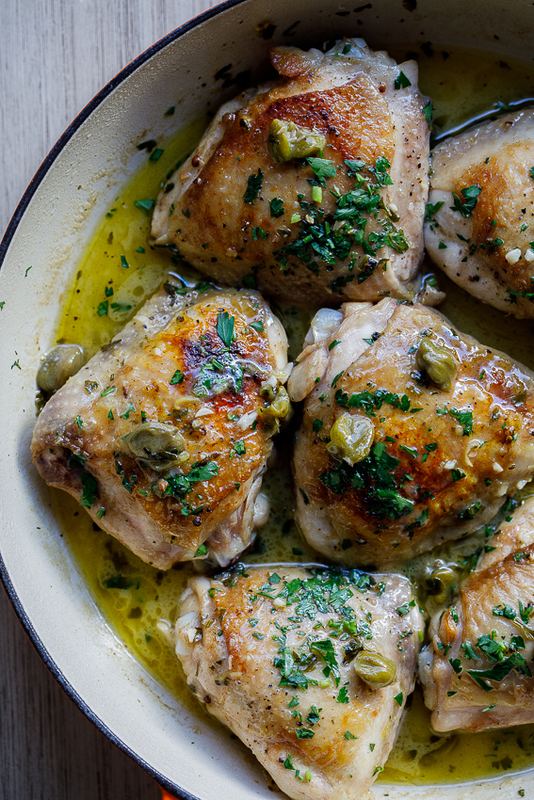 Chicken breasts cook faster than chicken thighs so you’ll need to adjust the cooking times. Brown the chicken breasts for 3-5 minutes per side until well-browned then pour in the sauce and allow to thicken. Chicken breasts will be cooked after 15-20 minutes of cooking. Almond, lemon and parsley pilaf rice or plain steamed rice. Season the chicken thighs with salt then brown in a large, hot frying pan for 7-10 minutes per side until well browned on both sides. If a lot of fat rendered from the chicken, pour off and reserve for later use. Combine the soy sauce, honey, garlic, water and lemon juice and taste for seasoning, Adjust to taste then pour into the pan with the chicken. 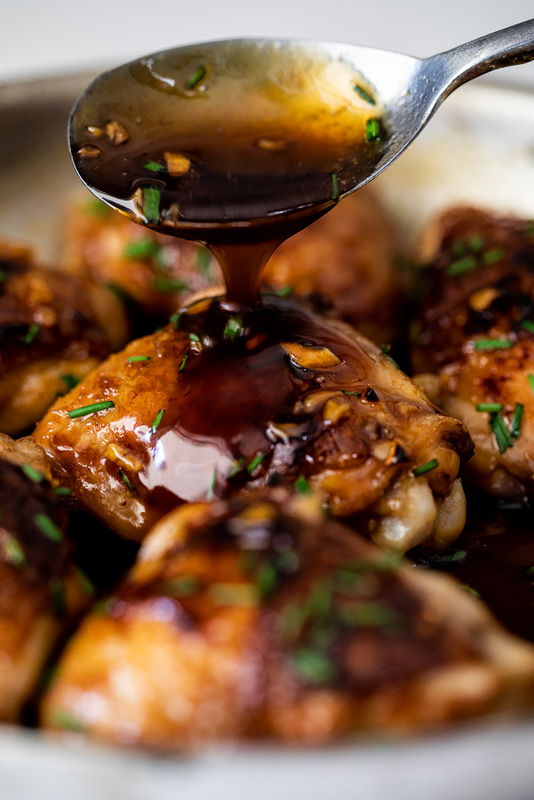 Simmer the chicken thighs in the honey garlic sauce, glazing the chicken every few minutes, until the chicken is cooked through and the sauce has reduced and thickened. Check and adjust seasoning then serve with rice and vegetables. The glaze is just perfect. Served the chicken with rice and steamed bok choy, perfect easy dinner. That sounds like the perfect dinner! 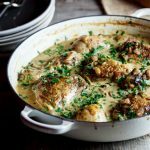 I can tell how juicy these chicken thighs are just from your photos Alida! And that sauce. 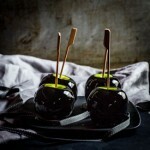 Simply mouthwatering!